C. Scott Wo, Ph.D. is an Owner / Executive of C. S. Wo & Sons. 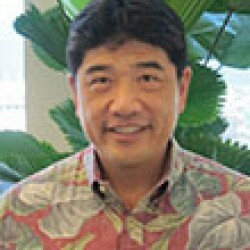 He is a 1983 graduate of Punahou School, and received his Bachelors of Science in Economics from the Wharton School at the University of Pennsylvania, his MBA in Finance, Accounting, and International Business from Columbia Business School, and his PhD in finance from UCLA. Dr. Wo’s many community affiliations include serving in executive and finance positions with the University of Hawaii Foundation Board of Trustees, the American Red Cross – Hawaii State Chapter, the Aloha United Way and the Pacific and Asian Affairs Council. Dr. Wo is a Director of First Hawaiian Bank, Director and Finance Committee Chair of the Queen’s Health System and has also served as a Director and President of Waialae Country Club. Dr. Wo is Chair of the Foundation’s Finance Committee.